ATV, UTV, MX and all things Powersports! Once again supporting the annual fundraiser for Chix 4 A Cause (a cancer benefit for WI women) last Saturday proved to be another huge success despite the cool damp weather. The colors were absolutely beautiful! Many thanks to all who donated and especially the Kettle Morraine ATV Assoc. for hosting the event. — at Oconto County, WI. After a morning shower the riding conditions were perfect at the Kettle Moraine ATV Club / Chix4aCause fundraising event headquartered out of the Dusty Trails in Mountain! Jillian Clark and Beth Biertzer of Chix 4 A Cause wave a friendly hello as they passed over this scenic bridge. Nearly 100 riders registered for the event. Not sure how much was raised this year yet but last year was around $9,000 dollars! WOW! 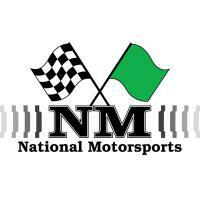 National Motorsports is here to help you get coverage for your next event! Many times this is required before a landowner would even let you use property or land managers would like to see it before they issue permits, etc. Just wanted to let you know we are here to help you get the coverage in place (and we provide the waivers) so you can hold your event! Our facebook page is - https://www.facebook.com/Nat.Motorsports We want to get as many riding areas open as possible so contact us today! Sorry this is an ad but securing insurance for rides, events etc. can be nearly impossible and many times events are cancelled because of it so we want people to know we are here! We have made this huge interactive map of all the UTV, ATV and road routes in WI. This helps riders get an idea of where to go on a trip. We do have really nice map books and GPS maps for sale too but I thought I would mention that the large poster map is a cool way to get the info from a statewide view of everything.